Nigeria once owned and operated an Airline, it was named “Nigerian Airways”. 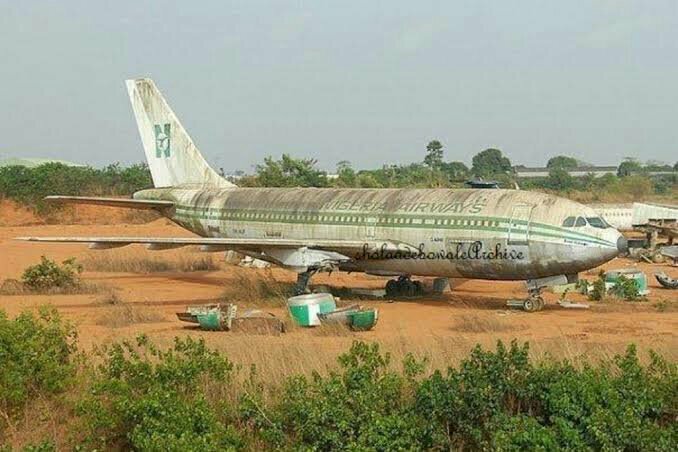 Just like other nations in Africa that owns an Airline, Nigeria was once in the crop. 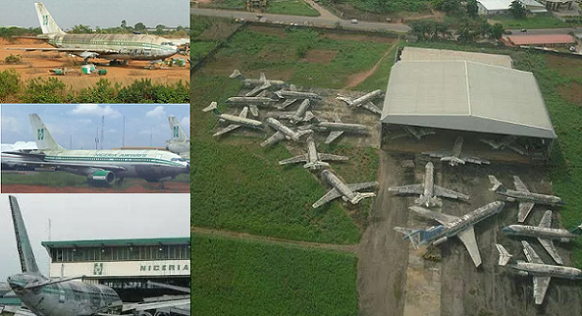 Nigerian Airways ceased operation in 2003 after years and years of mismanagement and disrepair. Nigeria Airways Ltd., more commonly known as Nigeria Airways, was a Nigerian airline. The company was founded in 1958 after the dissolution of West African Airways Corporation (WAAC). It held the name WAAC Nigeria until 1971, when it was rebranded to the name it had until it ceased operations in 2003. 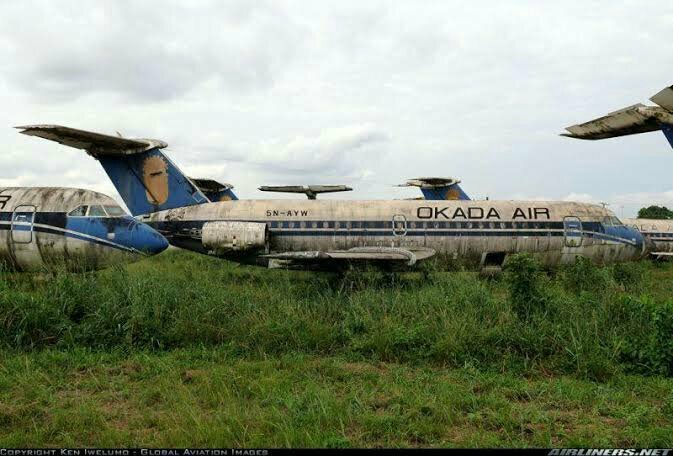 The government of Nigeria owned a majority of the airline (51%) until 1961, when it boosted its participation in the company to 100% and made it the country’s flag carrier. 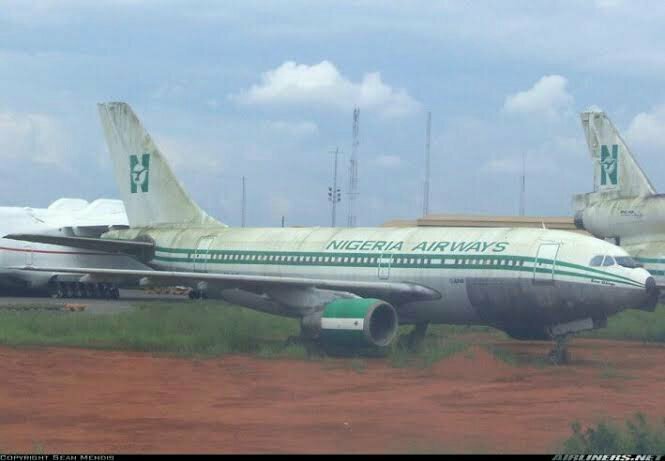 At the time of dissolution, the airline’s headquarters were at Airways House in Abuja.  Operations were concentrated at Murtala Muhammed International Airport and served both domestic and international destinations mainly concentrated in West Africa; the network also had points in Europe, North America and Saudi Arabia. The airline was managed by a number of foreign companies, including British Airways, the Dutch company KLM and South African Airways. 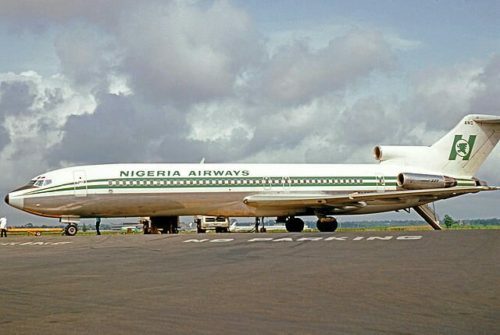 Nigeria Airways had its heyday in the early 1980s, just before the departure of a KLM team that had been hired to make the airline efficient and profitable. At that time, its fleet consisted of about 30 aircraft, but the carrier was two years behind with its accounts to the extent that aircraft were acquired for cash. Owned or leased, the carrier operated a variety of aircraft during its history, including the Airbus A310, the Boeing 737, and the Douglas DC-10, of which it flew the last one ever built. Plagued by mis-management, corruption, and overstaffing, at the time of closure the airline had debts totalling US$528,000,000 (equivalent to $702,408,104 in 2017), a poor safety record, and its operative fleet comprised a single aircraft flying domestic routes as well as two leased aircraft operating the international network. 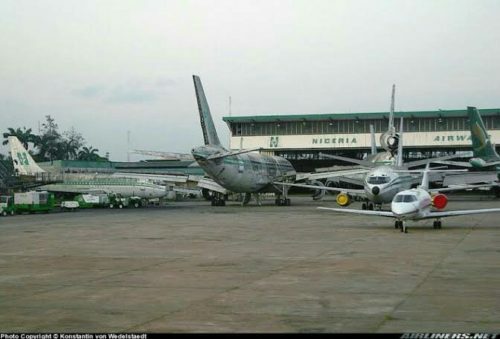 Nigeria Airways was succeeded by Virgin Nigeria, and the ground facilities were taken over by Arik Air. At April 1960, the fleet comprised one Dove, eight Herons and eight DC-3s. In early 1961, Nigeria became the only owner of the company by buying the shares held by BOAC and Elder Dempster the airline became the flag carrier of the country. The entire Heron fleet was withdrawn from service in March 1961 as it proved economically inviable. Aimed at replacing the DC-3 fleet, five Fokker Friendship 200s were ordered late that year, with options being taken on two more. A BOAC Comet 4 inaugurated the jet services between Nigeria and London on 1 April 1962; the flight was operated in conjunction with Nigeria Airways. The Friendships joined the fleet between January and May 1963, and were deployed on regional routes, including those that served Abidjan, Accra, Bathurst, Dakar, Freetown and Robertsfield. The contract with BOAC was revised and a new agreement was signed in April of the same year. By June, the DC-3s had begun to be replaced by the Friendships on routes to Gambia, Ghana, Ivory Coast, Liberia, Senegal, Sierra Leone, and Leopoldville. However, the type would continue to be deployed on the Kano–Cotonou–Lomé–Accra passenger service and the Lagos-Kano freighter route. BOAC subsequently operated Vickers VC-10 services on behalf of Nigeria Airways from April 1964 until an aircraft of the type was acquired from the British state airline in October 1969; the airplane was destroyed in an accident in November that year. The first air link between Nigeria and the United States was launched in early October 1964. Called ″Operation Fantastic”, it linked Lagos with New York and was operated by PanAm using Boeing 707s and DC-8s, but an agreement between both countries allowed Nigeria Airways to sell a limited number of seats on these flights. 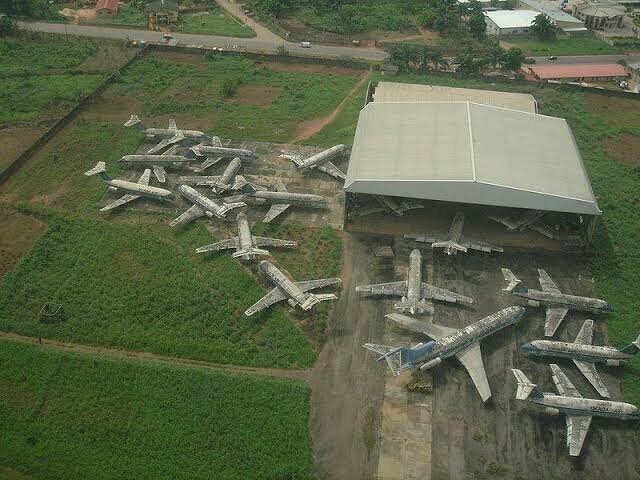 In May 2003, when Nigeria Airways had a Boeing 737-200 as its sole serviceable aircraft, the government decided not to pump more money into the overstaffed carrier but to liquidate it. The decision was based on the declining performance of the airline’s last 15 years of operations and on the carrier’s debts. The number of carried passengers had fallen from 2,1 million in 1985 to just 10,000 in the first quarter of 2003, and it controlled just 6% and 1% of the domestic and the international markets, respectively. The carrier owed over US$528 million, despite the government having injected US$200 million into the company in its last decade of operations. 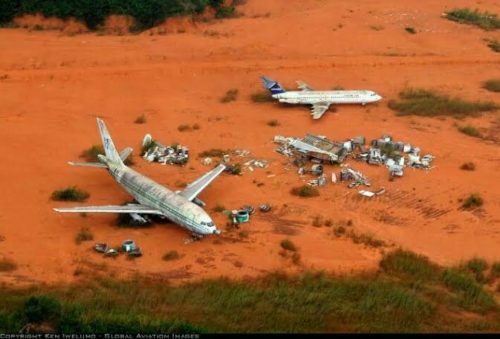 The airline ceased operations in 2003 and was liquidated a year later. The Nigerian government later came to an agreement with Virgin Atlantic Airways to found Virgin Nigeria Airways, intended as a replacement. Even though Virgin Nigeria succeeded Nigeria Airways, the ground facilities of the folded Nigeria Airways were eventually taken over by the then-startup company, Arik Air.